One of the survivors who wrote to Lambeth Palace this week, Graham*, described the claim that Smyth was not an Anglican as “farcical”, given that he worshipped in the C of E.. The letter tells the Archbishop that Smyth had in fact been a licensed Reader in the diocese of Winchester. Graham also listed the many links between the Iwerne Trust and the C of E, pointing out that survivors in the United Kingdom and trustees of the Trust — some of whom were ordained — had attended Anglican churches. He also emphasised that the allegations did not pertain to the Iwerne Trust’s camps — the abuse had taken place at Smyth’s home. But Archbishop Welby did not mention that the report commissioned by the Iwerne Trust and compiled in 1982, prompted by a suicide attempt by a survivor, was written by a C of E priest, the Revd Mark Ruston, when he was Vicar of Holy Sepulchre with All Saints, Cambridge. It described what it called the “beatings” of 22 young men. The contents of the report were disclosed to a number of Anglican clergy. Smyth went on to live in Zimbabwe, where he continued to run holiday camps — Zambezi Ministries — and South Africa. “Had any one of these men spoken out about what they knew, upwards of 60 African children might not have been viciously beaten, and Smyth might have faced the justice he deserved,” the letter says. In fact, it was the Bishop of Ely, the Rt Revd Stephen Conway, who wrote to the Church in South Africa. Asked about a promised review, Archbishop Welby told Channel 4 News that it could not take place until the Church had secured the participation of the other organisations involved: a reference to Scripture Union, Winchester College, and the Titus Trust. Several survivors of Smyth’s abuse have launched a civil claim against the Titus Trust (News, 24 August 2018), and it is understood that the Titus Trust will consider a review only once these have been concluded (News, 1 March). Graham suggested that it was “perverse that the decision as to which organisations should have the veto on a review has been taken before the review itself, when all of the facts are not yet known”. He also disputed the Archbishop’s comment that there had been “very rapid contact” with the survivors, and that the bishop in charge of safeguarding and safeguarding officers had met them. 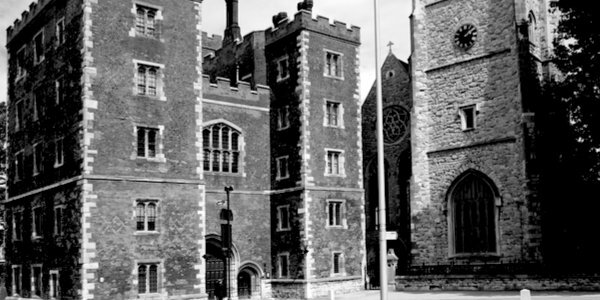 On Tuesday, a spokeswoman for Lambeth Palace declined to clarify the Archbishop’s comments but said that he hoped to meet survivors “as soon as possible”. This entry was posted in Church of England and tagged 'Graham', Archbishop Justin Welby, Bishop of Ely Rt Revd Stephen Conway, Channel 4 News, Diocese of Winchester, Ely Diocese, George Bell Bishop of Chichester, IICSA, Iwerne Trust, John Smyth, Lambeth Palace, Revd Mark Ruston, Scripture Union, Titus Trust, Winchester College, Zambezi Ministries on April 18, 2019 by richardwsymonds37. The Church of England’s National Safeguarding Team (NST,) has today published the key findings and recommendations, along with the full report, from the independent review into the processes used in the Bishop George Bell case. The review, commissioned by the NST on the recommendation of the Bishop of Chichester, was carried out by Lord Carlile of Berriew. As he writes in the introduction, his purpose was not to determine the truthfulness of the woman referred to as Carol in the report, nor the guilt or innocence of Bishop Bell, but to examine the procedures followed by the Church of England. The objectives of the review included “ensuring that survivors are listened to and taken seriously”, and that recommendations are made to help the Church embed best practice in safeguarding in the future. The report made 15 recommendations and concluded that the Church acted throughout in good faith while highlighting that the process was deficient in a number of respects. “We are enormously grateful to Lord Carlile for this ‘lessons learned’ review which examines how the Church handled the allegations made by Carol in the 1990s, and more recently. Lord Carlile makes a number of considered points as to how to handle such cases in future and we accept the main thrust of his recommendations. “It is clear from the report, however, that our processes were deficient in a number of respects, in particular the process for seeking to establish what may have happened. For that we apologise. Lessons can and have been learnt about how we could have managed the process better. “The Bishop Bell case is a complex one and it is clear from the report and minutes of Core Group meetings that much professional care and discussion were taken over both agreeing the settlement with Carol and the decision to make this public. As Lord Carlile’s report makes clear, we acted in good faith throughout with no calculated intention to damage George Bell’s reputation. “The Church has always affirmed and treasured Bishop Bell’s principled stand in the Second World War and his contribution to peace remains extraordinary. At same time, we have a duty and commitment to listen to those reporting abuse, to guard their confidentiality, and to protect their interests. “Lord Carlile’s Independent Review is a demonstration of the Church of England’s commitment to equality of justice and transparency in our safeguarding practice. The diocese of Chichester requested this “lessons learned” Review. “We welcome Lord Carlile’s assessment of our processes, and apologise for failures in the work of the Core Group of national and diocesan officers and its inadequate attention to the rights of those who are dead. We also accept the Report’s recognition that we acted in good faith, and improvements to Core Group protocols are already in place. Further work on them is in hand. “The Report demands further consideration of the complexities of this case, such as what boundaries can be set to the principle of transparency. Lord Carlile rightly draws our attention to public perception. The emotive principle of innocent until proven guilty is a standard by which our actions are judged and we have to ensure as best we can that justice is seen to be done. Irrespective of whether she is technically a complainant, survivor, or victim, ‘Carol’ emerges from this report as a person of dignity and integrity. It is essential that her right to privacy continues to be fully respected. “Bishop George Bell is one of the great Anglican heroes of the 20th century. The decision to publish his name was taken with immense reluctance, and all involved recognised the deep tragedy involved. However we have to differ from Lord Carlile’s point that ‘where as in this case the settlement is without admission of liability, the settlement generally should be with a confidentiality provision”. The C of E is committed to transparency and therefore we would take a different approach. “Lord Carlile does not seek to say whether George Bell was in fact responsible for the acts about which the complaint was made. He does make significant comments on our processes, and we accept that improvement is necessary, in all cases including those where the person complained about is dead. We are utterly committed to seeking to ensure just outcomes for all. We apologise for the failures of the process. This entry was posted in Bishop George Bell and tagged Bishop of Bath & Wells Peter Hancock, Bishop of Chichester Martin Warner, Carlile Review, Church House, Church of England, Church of England Statement December 15 2017, Church of England Statement Oct 22 2015, Current Archbishop of Canterbury Justin Welby, George Bell Bishop of Chichester, Lambeth Palace, Lord Carlile on December 17, 2017 by richardwsymonds37. This entry was posted in Bishop George Bell, Injustice, Justice and tagged 4 Canon Lane Chichester, Aled Jones, Archbishop of Canterbury, BBC, Chichester Area Talking News, Chichester Observer Letters, Cloisters Cafe Chichester Cathedral, George Bell Bishop of Chichester, George Bell House, Lambeth Palace, Marion Somerville, The Bishop's Palace on December 7, 2017 by richardwsymonds37.